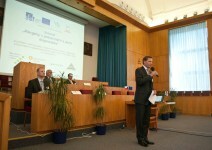 Private and public RD institutions, town Velke Pavlovice and the Moravian-Silesian Energy Cluster have created a platform concentrated on technology transfer in the agriculture, food industry and bio-energy. Its main goal is to promote innovations, provide for their implementation and support horizontal mobility. 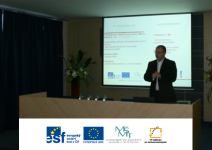 Are you a research institution looking for new research partners for a project in the area of agriculture, food industry or bio-energy? Are you a private entity looking for new inspiration in the agriculture, food industry or bio-energy innovations? Are you interested in agro- enviro-innovations? 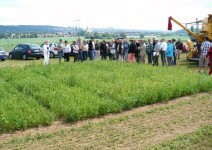 We would like to invite you to the 2nd Symposium of Agronomy & Physiology Section of the European Association for Potato Research, that will be held during 15 – 19 September 2013 in Prague (Czech Republic). 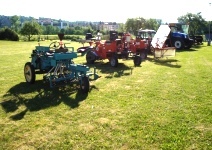 More details you can find on www.potato-agrophysiology2013.eu or you can download information in PDF. The project aims to develop the human potential in research and innovation, in particular through post-graduate studies and training of researchers, and networking activities between universities, research centers and businesses. 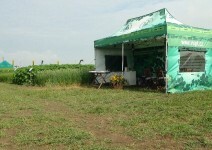 The lead partner is Agriculture Research, Ltd. The Project started on the 1st February 2012 and will last 2 years. If you have any questions regarding cooperation in technology transfer in the agriculture, food industry or bio-energy please do not hesitate to get in touch with us. Below you can find more information about our activities. Download our events calendar here. We are looking forward to see you on our conferences.